Before you trade your current vehicle in toward the purchase of a new one, we advise everyone to have a proper trade appraisal done. The same holds true if you are looking to sell it on your own; find out what it is worth first. This will help ensure you are getting a fair deal when either trading it in or selling it. Why get rid of something without knowing what it is truly worth? The process is easy, and there is no charge to you and no obligations. To get started on getting your vehicle appraised, please fill out the form below, being as descriptive as you can. 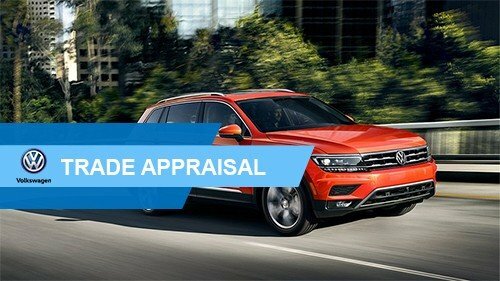 You may be required to bring your vehicle down to our Volkswagen dealership in Delray Beach to finish out the appraisal process. If you would rather speak to one of our team members on the phone, give us a call today at (561) 513-5243.